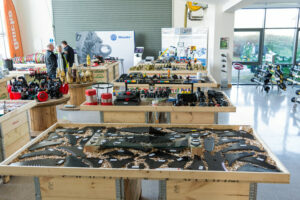 Fastparts, the consumable parts division of Farmhand, celebrated 30 years in business last Thursday with an open evening for their 350+ strong dealer network. The event’s purpose was twofold. “It’s great to mark 30 years for my department” said parts director Sinead Scrivener. “However, tonight is also about the culmination of 3 years hard work by the Fastparts team to get this webshop ready to launch” she said. Fastparts was set up by Farmhand in 1988 and distributes a range of 20,000 different lines throughout Ireland. The webshop now allows dealers to place orders with next day delivery. Although a trade account is needed to order from the site, anybody can browse the range, print what they want and bring it to their local dealer. “We are delighted with how the site has turned out and hope it will allow people to see our full range while making it more efficient for our dealers to place orders” remarked Sinead. www.fastparts.ie is now live and can be viewed online. 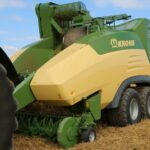 Krone Premos 5000- Where is this Exciting machine?